Nike SB is a versatile label. Everything they do, they do right, though, and this DFT Pique Polo Shirt is proof. The DFT stands for the Dri-FIT technology which is worked into the fabric construction. This new technology effectively and quickly wicks moisture away from your skin for a cool, dry fit. The piqué fabric is super comfortable to wear, too - trust us. There's a reason why polos are often made this way. Trust us. 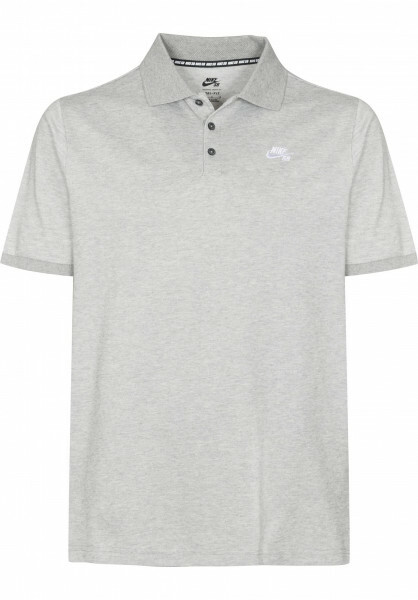 This polo shirt comes with all the features you'd expect: a small collar with a row of buttons running to the middle of the chest, a slightly rounded hemline and label embroidery on the left side of the chest give the whole thing a classic, timeless silhouette. Extra vent holes/eyelets are located underneath each arm for a particularly breathable fit. The Nike SB DFT Pique keeps you sweat-free and happy during challenging sessions! We will definitely order again!!!!! !